Forecasters at the UK Met Office have issued severe weather warnings for much of the UK from Sunday to Tuesday. Winds of 70 m.p.h. are expected across southern and western parts of the British Isles with perhaps up to 80 m.p.h. in exposed areas as severe weather brings the risk of high waves and flooding. The Environment Agency has issued a severe flood warning for the whole of the Devon and Cornwall coast amid storm warnings for south and west Britain. Near real-time sea level data from the UK Tide Gauge Network is available for download from the British Oceanographic Data Centre(BODC). The UK National Tide Gauge Network of 45 tide gauges was set up as a result of severe flooding along the east coast of England in 1953 and is now owned and funded by the Environment Agency. The Tide Gauge Network forms part of the National Tidal & Sea Level Facility (NTSLF). NTSLF is hosted by the Proudman Oceanographic Laboratory (POL) and BODC is responsible for the management of the tide gauge data and their access via the web. 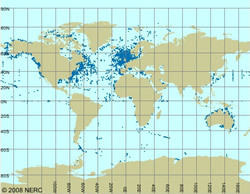 The NTSLF was established in 2002 to reflect the importance of national sea level monitoring to the public and government, as well as to the academic community. Quality controlled processed data are available for download — free of charge. 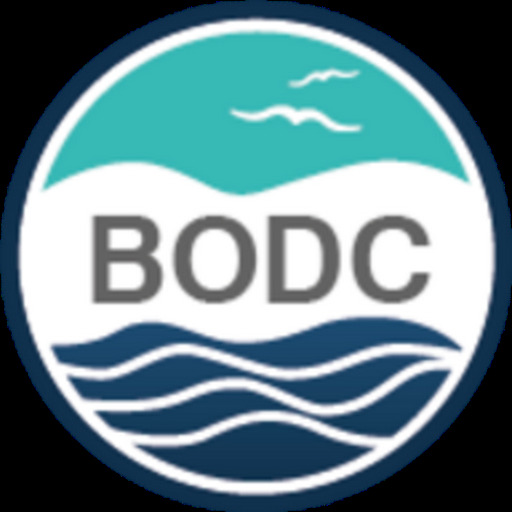 The British Oceanographic Data Centre (BODC) announces the launch of the improved international inventory of moored current meters. This online search facility has undergone a major redevelopment resulting in increased user functionality. Its entries have been sourced from more than 20 international organisations & committees responsible for data dissemination and provides contact information should you wish to access the data. Each search provides the means to download a comma-separated file of metadata. For entries supplied by BODC, the application provides a direct link to our online data request facility, which eliminates the need for the user to repeat their search to request our data holdings. BODC maintain the inventory as part of our responsibilities as the UK's National Oceanographic Data Centre within the framework of the Intergovernmental Oceanographic Commission (IOC). Currently, the inventory comprises over 32,000 records relating to current meter deployments by more than 140 organisations. Not all deployments will have returned data and usage restrictions may vary. You may opt to use a simple or advanced query form. Both forms allow you to build a query from a number of categories, each of which is initially set to a broad default value that you can make narrower. The results of your search are presented in tables and on a interactive map. You may also opt to include/exclude those entries with known data restrictions and deployments where it is known that the instrument malfunctioned. BODC also maintains the UK inventory of moored current meter data.